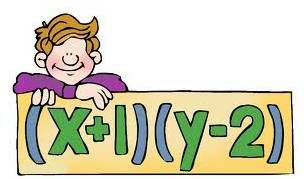 Algebraic Expressions are expressions which are obtained by performing a finite number of operations like addition, subtraction, multiplication, rising to a power on symbols (terms) representing numbers. Algebraic expressions contain variables and constants. A variable’s value is not fixed. On the other hand, a constant has a fixed value. An expression with only one term is called a monomial. An expression with two unlike terms is called a binomial. But 2x + 3x is not a binomial. As, 2x +3x=5x which is monomial. An expression which contains three terms is called a trinomial. An expression with one or more terms is called a polynomial. A monomial, a binomial and a trinomial all are polynomials. The sum of two more like terms is a like term with a numerical coefficient equal to the sum of the numerical coefficient of all the like terms. The difference of two more like terms is a like term with a numerical coefficient equal to the difference of the numerical coefficient of all the like terms. In the given expression, we have 13x and 2x as like terms. So, we first add them. As there are no like terms left in the above expression, so we get the final answer as 15x + 7y + 6a. (ii) Subtract: 30xy – 10x – 16y from 15xy + 12y + 14x.